Judge Loya case highlights: SC dismissed petitions seeking an independent probe into the death of special CBI judge Brijmohan Harikishan Loya. The top court ruled that the death was due to “natural causes”. The Supreme Court on Thursday dismissed petitions seeking an independent probe into the death of special CBI judge Brijmohan Harikishan Loya. The top court, ruling that the death was due to “natural causes”, observed that the petitioners tried to scandalise the judiciary. A three-judge bench, headed by Chief Justice of India Dipak Misra and comprising Justices A M Khanwilkar and D Y Chandrachud, pronounced its verdict after hearing a clutch of petitions. Records show that Loya died of a heart attack in Nagpur, Maharashtra, on December 1, 2014. The petitioners, however, had moved the top court alleging he died under “mysterious” circumstances. At the time of his death in 2014, he was hearing the Sohrabuddin Sheikh “fake encounter” case, in which BJP president Amit Shah was named an accused. Shah was later acquitted in the case. There were heated exchanges between the counsels for the petitioners and the state of Maharashtra during the hearing. While the petitioners raised questions on the circumstances surrounding Loya’s death, the state had called the claims motivated. "The verdict has exposed the Congress once again. Rahul Gandhi should apologise to the people of the country. They have tried to create such an environment that develops negative emotions," Uttar Pradesh Chief Minister Yogi Adityanath is quoted as saying by ANI. BJP spokesperson Sambit Patra, addressing the press, says the court has perfectly summed it up: PILs are being used to settle political scores. He adds that the petitions were an attempt to vitiate the atmosphere. The Congress says the Supreme Court's judgment will raise more questions. Congress spokesperson Abhishek Singhvi tweets, "Dispassionate analysis of Loya judgement must await its full reasoning. But unless logical reasons found in it, it will raise more questions and leave many unanswered." 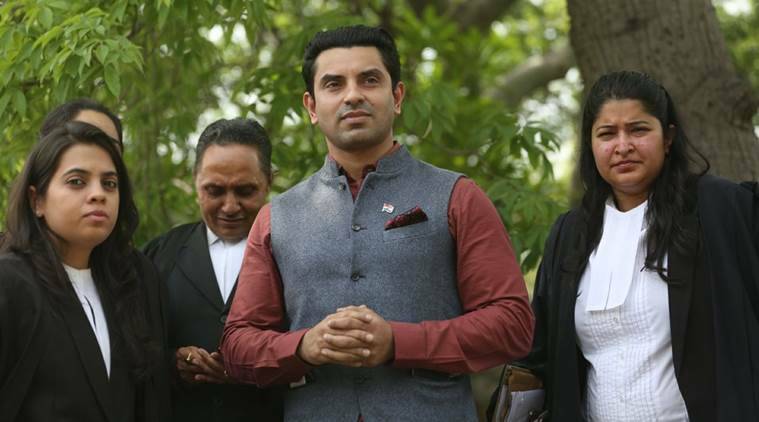 Tehseen Poonawalla, an activist, outside the Supreme Court on Thursday. He is one of the petitioners who moved the top court seeking an independent probe into the death of Judge B H Loya. Ahead of the verdict, he had tweeted, "Pls remember we are not fighting for an individual named Loya we are fighting for an institution called #Judge." Senior advocate Prashant Bhushan calls the SC order very unfortunate. He adds that it is unfortunate that the court is believing four judicial officers who had not signed affidavits. Bhushan had alleged foul play in the death of the Judge. The Supreme Court, in its judgment, said there were increasing instances of PILs being misused and referred to the present petitions as a case in point. It added that courts should not be a venue to settle political scores. It noted that even the two judges of the SC bench which heard the petitions were not spared by the petitioners. The Supreme Court said it has no reason to disbelieve the words of the four judicial officers whose statements were recorded during a discreet inquiry conducted as part of the Judge Loya case. It also thrashed the theory that the Judge did not stay at Ravi Bhavan. The Supreme Court has said the petitions seeking a probe into Loya's death were a “veiled attempt to launch a frontal attack on the independence of judiciary”. It added that the petitioners’ conduct prima-facie constitutes criminal contempt. The bench, however, said it was sparing them of any contempt action. A three-judge bench, headed by Chief Justice of India Dipak Misra and comprising Justices A M Khanwilkar and D Y Chandrachud, ruling that Judge Loya died due to “natural causes”, observed that the petitioners tried to "scandalise" the judiciary. The petitioners had levelled allegations against judicial officers and judges of the Bombay High Court. The Supreme Court has ordered no probe into the death of special CBI judge B H Loya. The three-judge bench dismissed the petitions filed alleging he died under 'mysterious' circumstances and seeking an independent probe. The petitions are listed for judgment at 10.30 am this morning. We can expect the Supreme Court to pass its verdict any time now. A bench comprising Chief Justice Dipak Misra and Justices A M Khanwilkar and D Y Chandrachud had on March 16 reserved the judgement on the pleas. 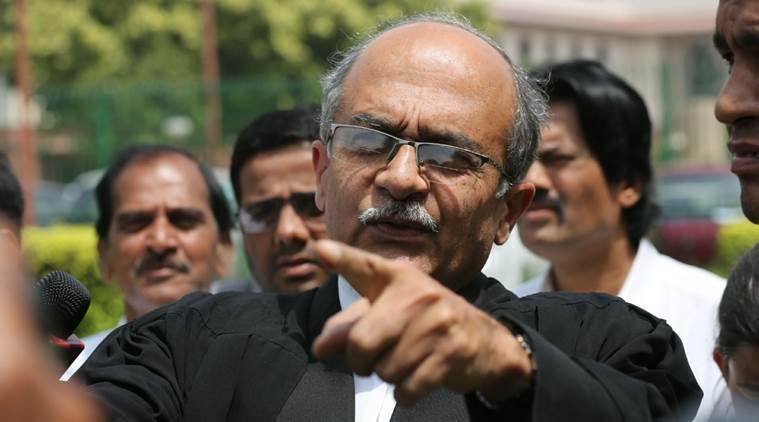 Lawyer-activist Prashant Bhushan has alleged foul play in the death of Judge Loya as well. Expressing doubts on whether he died of a heart attack, he said reports showed the judge had some injury to the head and also indicated that he could have been poisoned. Read more here. Opposition parties, led by the Congress, had met President Ram Nath Kovind and sought an independent probe into Loya's death. The memorandum had been signed by 113 MPs from 15 parties. After meeting the President, Congress president Rahul Gandhi had said, " “A large number of MPs felt a sense of discomfort. They felt that a judge of the special CBI (court) has died under suspicious circumstances. And it is owed to that judge and his family that the investigation should be done properly and effectively." A bench headed by Chief Justice of India Dipak Misra and comprising Justices A M Khanwilkar and D Y Chandrachud is likely to deliver its verdict at 10.30 am. This matter was also raised during the unprecedented press conference held by four most senior judges of the Supreme Court on January 12. The four — Justices Jasti Chelameswar, Ranjan Gogoi, Madan B Lokur and Kurian Joseph — had questioned the conduct of the CJI over the allocation of cases. The cited the assignment of the Loya case as one of the reasons for their differences with the CJI. There are five petitions listed for judgment this morning. Two PILs were filed in the SC by journalist B R Lone and activist Tehseen Poonawala. The apex court also transferred to itself two petitions pending the Bombay HC. Terming the matter as “serious”, the SC had said it will hear all the petitions together. "We think it in the fitness of things appropriate to transfer the said writ petitions to this Court and, accordingly, it is so ordered,” the court had observed. Why is Judge Loya's death a controversy? Judge Loya died of a heart attack in December 2014, records show. His death became a controversy after a media report quoted his family suggesting foul play. The petitioners have sought an independent probe, citing "mysterious" circumstances under which he died. Loya was hearing the Sohrabuddin Sheikh encounter case at the time of his death, in which BJP president Amit Shah was an accused. He was later discharged. The counsel for the state of Maharashtra, however, has argued that these claims are motivated. There are five petitions seeking an independent probe into the death of special CBI judge B H Loya listed for judgment in the Supreme Court today. A three-judge bench, headed by Chief Justice of India Dipak Misra and comprising Justices A M Khanwilkar and D Y Chandrachud, is likely to pronounce its order at 10.30 am this morning. Get the latest news here. Judge Loya died of a heart attack in December 2014. 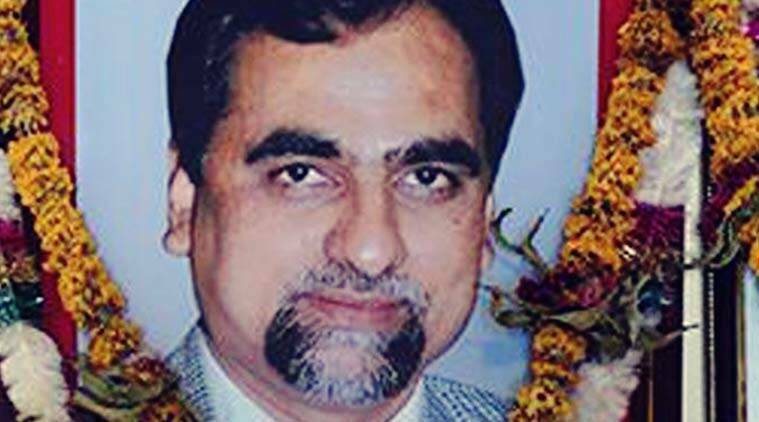 Records show that CBI special judge B H Loya died of a heart attack in Nagpur, Maharashtra, on December 1, 2014. Five petitions, however, were moved in the Supreme Court seeking an independent probe into his death. The petitioners alleged the judge died under "mysterious" circumstances. At the time of his death in 2014, judge Loya was hearing the Sohrabuddin Sheikh “fake encounter” case in which BJP president Amit Shah was named an accused. Shah was later discharged.